SALT LAKE CITY — Zions Bank is re-evaluating its method of disposing of sensitive documents after a truck operated by Recall Secure Document Services dumped its load of material from the bank Thursday afternoon, sending checks and other financial documents all over Bangerter Highway. “Anytime you have an incident like this related to a vendor you’re using, it causes you to take a good look at the way you’re doing things,” said Rob Brough, executive vice president of marketing and communications for Zions Bank. Recall is scrambling to find out what went wrong. The company was using a rental truck because one of its regular trucks wasn’t working properly. KSL News talked to a local shredding company Friday afternoon about safety procedures it has in place. “Our containers are always locked. Our containers are never opened at the customer sight. They’re never opened during transit. Our containers are only opened once they come back to our secure facility,” said Bradley Collings, director of business operations for Columbus Secure Shredding. Some companies shred documents for clients on site to make sure they are destroyed before they’re taken away. Editors note: It is critical that important sensitive documents, especially from a financial institution, are properly shredded on-site. 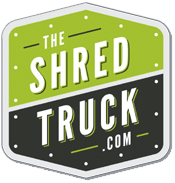 At The Shred Truck – serving the St Louis, MO region – we always shred documents on-site and have available a remote camera for our clients to view the shredding process while sitting at their desk to assure all materials are properly destroyed.